But in fact it is ! It’s the long command name for \g and EGO is the one for \G. Then I found this bug #69534 where the solution was explained: --named-commands. In fact the client needs to be started with this option to enable the long named commands, see the manual. The manual is not that clear as it takes for example \q and quit… but in fact both are working even when --named-commands is not enabled. 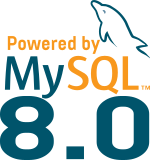 So I learned something about MySQL that was completely NOT new. I don’t know how useful this can be other than for a quiz but at least if you have a tool generating statements like these ones, now you know how to use them even without replacing all GO by ‘;‘.